Being in a long distance relationship requires a thoughtful way of communication. A text message as a rudimental and reliable fragment at the end of every day, that you don’t see each other, helps to make oneself more tangible, but also to reflect happenings like a diary would do. 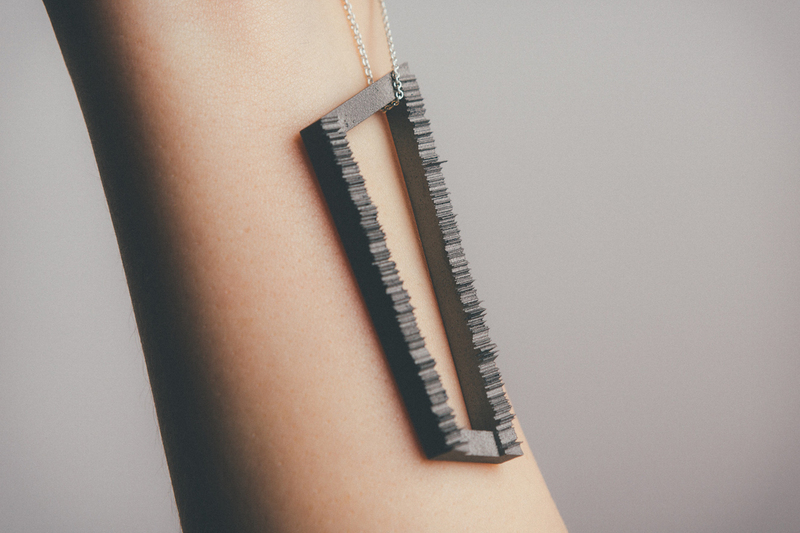 As a gift for our second anniversary I visualised my SMS in form of a necklace for my former girlfriend. To begin with, all of my good night SMS had to be scraped out of the biennial chat history. In the light of a lack of a consistent structure, sorting all good night SMS from ordinary SMS felt literally like data mining. 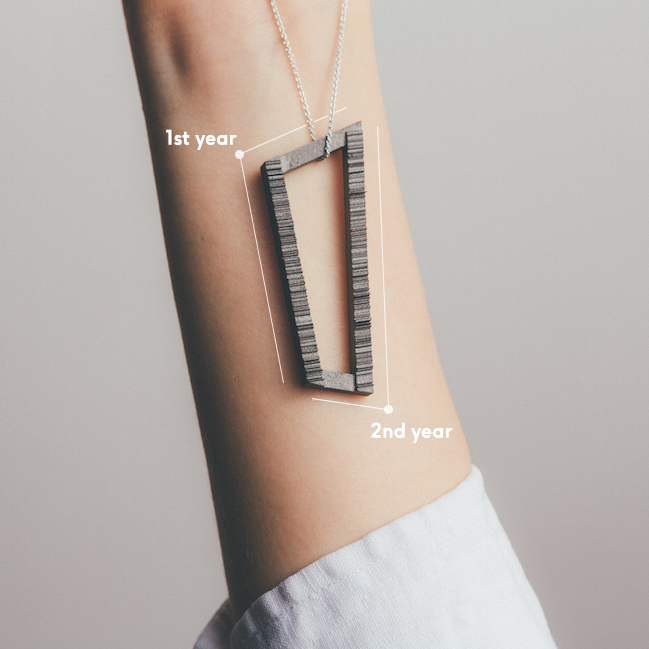 After some iterations, I decided for a modest rectangle shape that is able to work as a necklace but also represents the data clearly. Consequently, two diagonal opposing points constitute the starting points for both years. 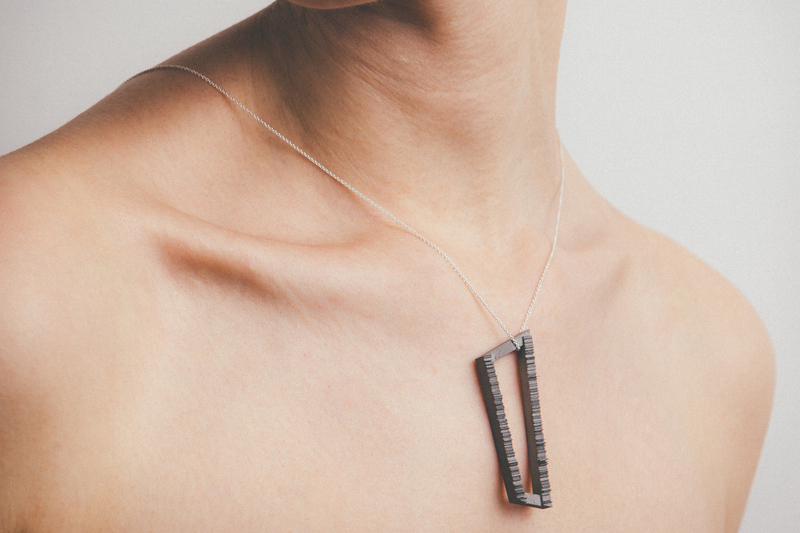 The ongoing sides in each case are coded to the days with and without good night SMS. 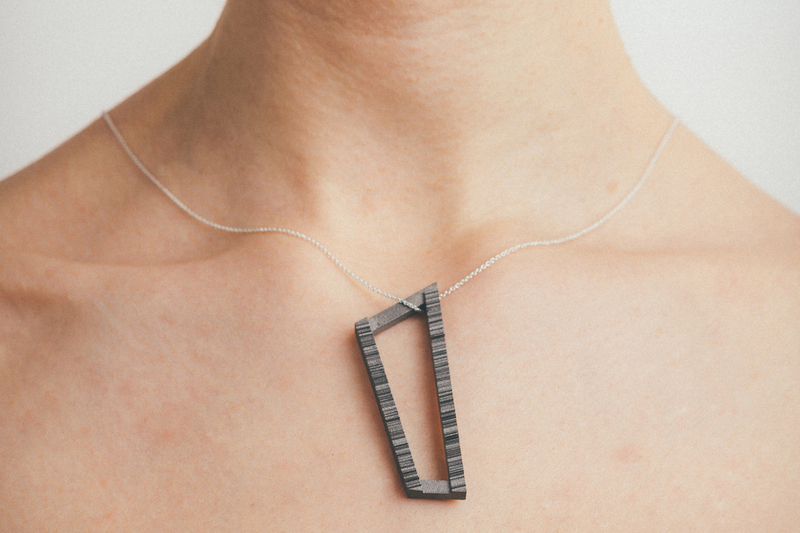 In detail, the plain horizontal sides represent days spent together. The vertical sides illustrate the length of the SMS through the applied line graph. 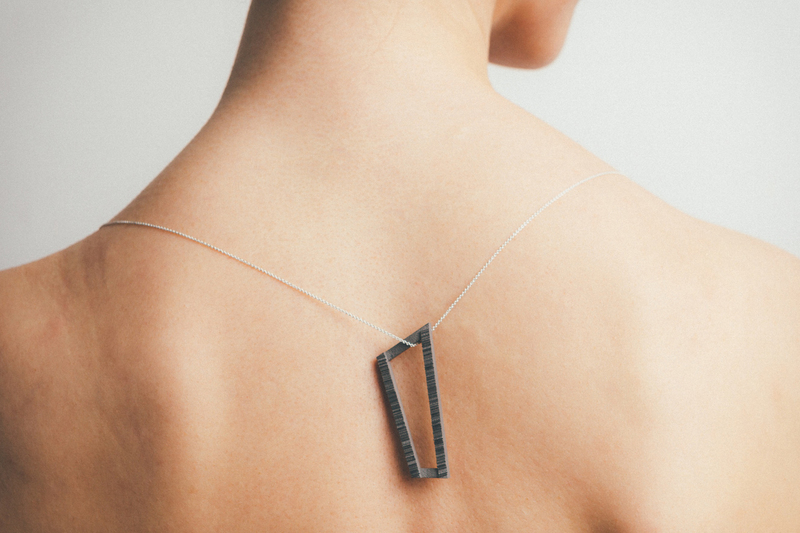 The final model of the necklace was then 3D printed using high-grade steel.